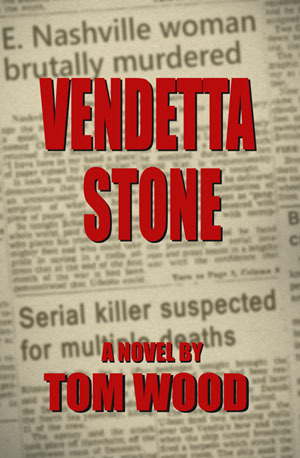 Tom, I have been too long in telling you how much I enjoyed Vendetta Stone. One thought that hit me mid-way through was “Hitchcock” (I have admired his work for many years) and I use the term here in the highest regard. You did not disappoint. You kept an even keel without the ups and downs of over-dramatizing or leaving one hanging that so often happens. To boot, I learned a lot about the media businesses and that was an added plus. My wife will be reading next, and I’m sure she will enjoy it as much as I did. Thank you for a wonderful book and good luck with the screenplay! Glad you enjoyed it, Skip! I am so blown away by your “Hitchcock” comparison; his work is some of the finest ever and still stands the test of time. When I picked up Vendetta Stone, I didn’t realized I’d signed up for an all-nighter! Great characterization and plotting kept me awake until the end. It was a stone-cold good book! Hey, it’s a (pardon the pun) page Turner! Thanks very much for the kind words. I really enjoy your monthly article Country Legens of the past and Present in the country family reunion news, and look forward to it each month. The people you show on the heading of the article I know who they are all are except the man just before Loretta. Who is he? Thanks and hope you continue the articles. Click the book cover above to read a sneak peek of Vendetta Stone. Vendetta Stone is available for purchase (hard copy or Kindle) through Amazon.com, or order it through your local bookstore via ISBN: 1490331522. The book is available in Nashville at Barnes & Noble at Vanderbilt University as well as Parnassus Books, and at Miss Daisy's Kitchen, Landmark Booksellers in Franklin, Mill Creek Mercantile in Donelson, Duck River Books in Columbia, Book Attic, Howlin Books, Elder's Bookstore, Monell's Restaurant in the Germantown area of East Nashville, T.W.O. for Home on Davidson Road off Charlotte Pike near Nashville West, , Foxleaf Bookstore & Computer Training in Cookeville, The Book Cellar in Crossville, Union Avenue Books in Knoxville, Square Books in Manchester, Star Line Books in Chattanooga, Wild Hare Books in Signal Mountain, Tenn., and Scuppernong Books in Greensboro, N.C.; in Atlanta at Atlanta Vintage Books, A Cappella Books and at Indy Reads Books in Indianapolis. Copyright © 2019 Tom Wood, author . All Rights Reserved.